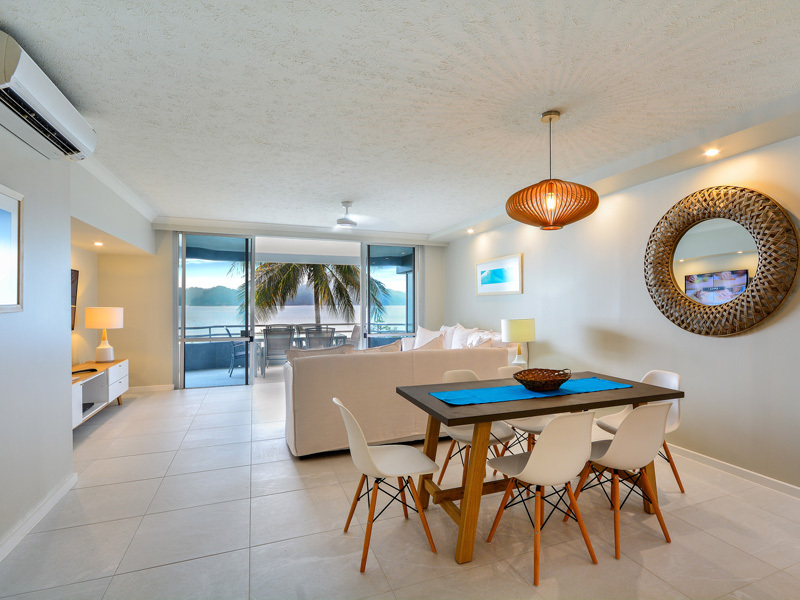 Modern, two bedroom apartment on the resort side of the island. 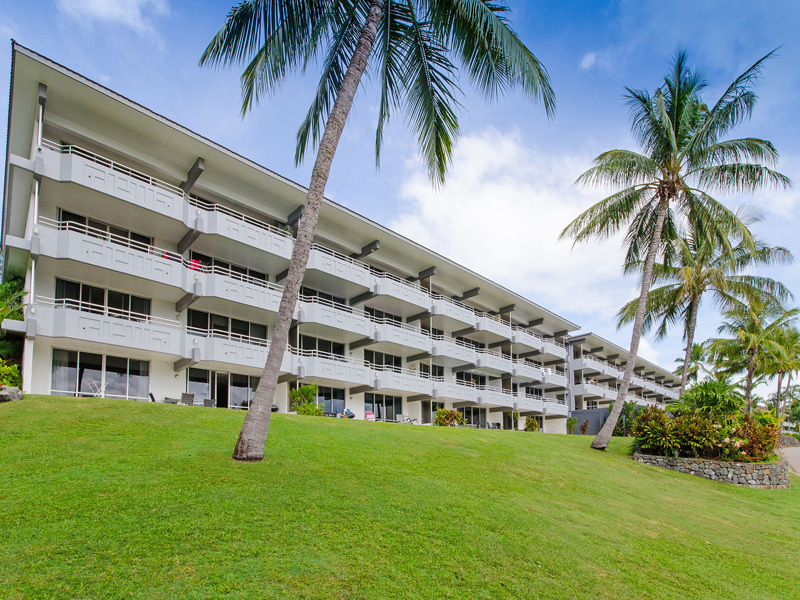 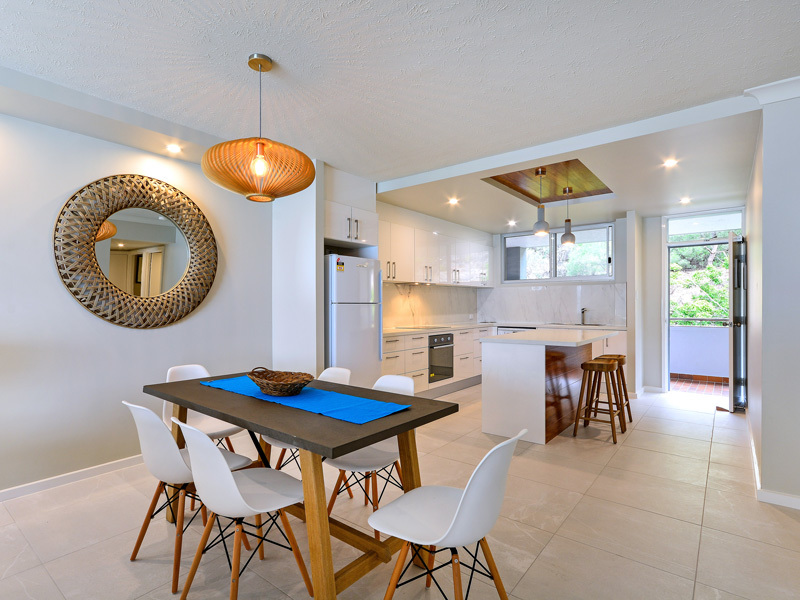 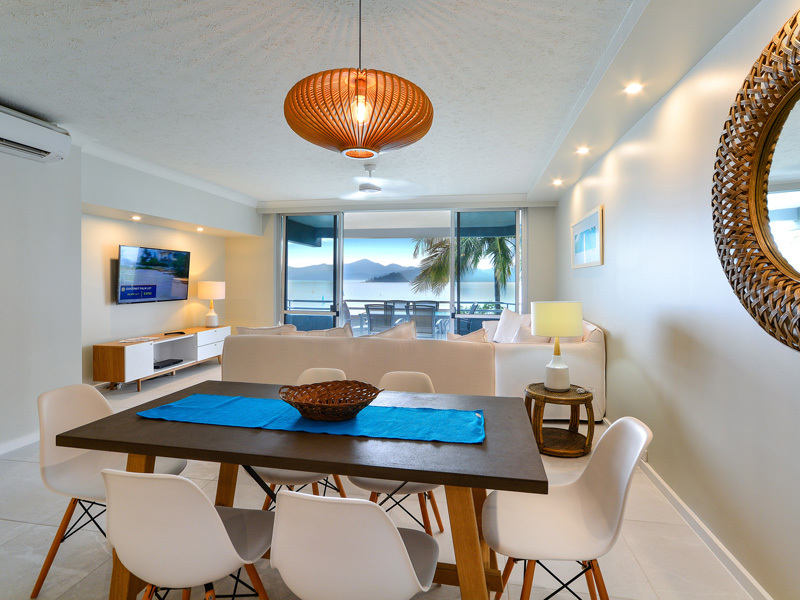 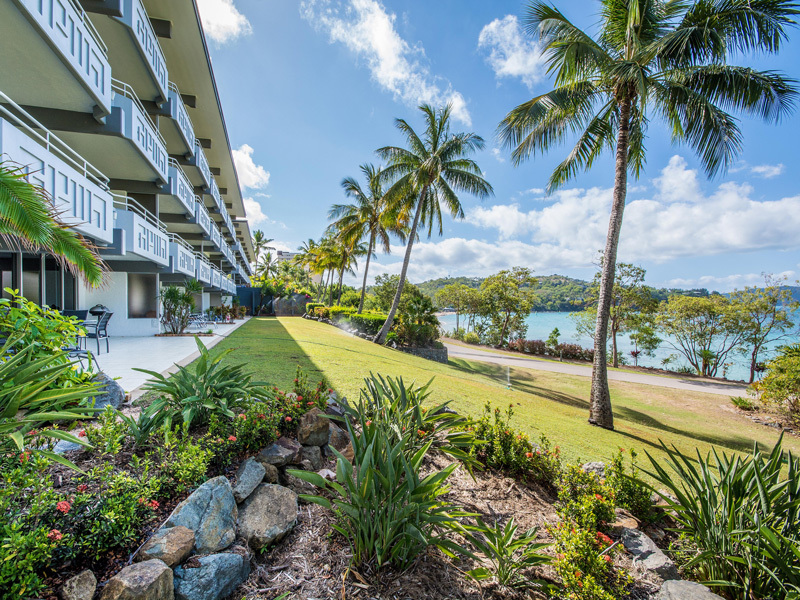 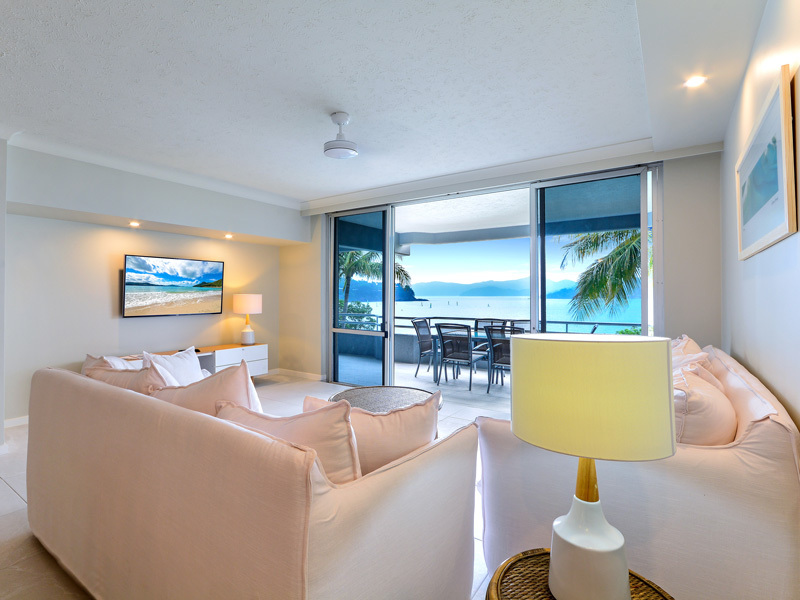 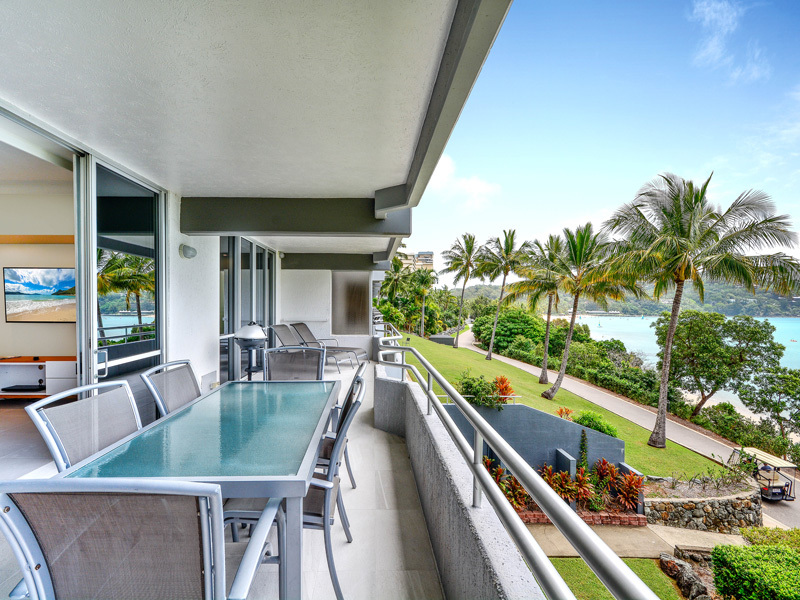 This light-filled, two bedroom apartment offers spectacular views over Catseye Beach and a quintessential tropical getaway for couples, families and friends. 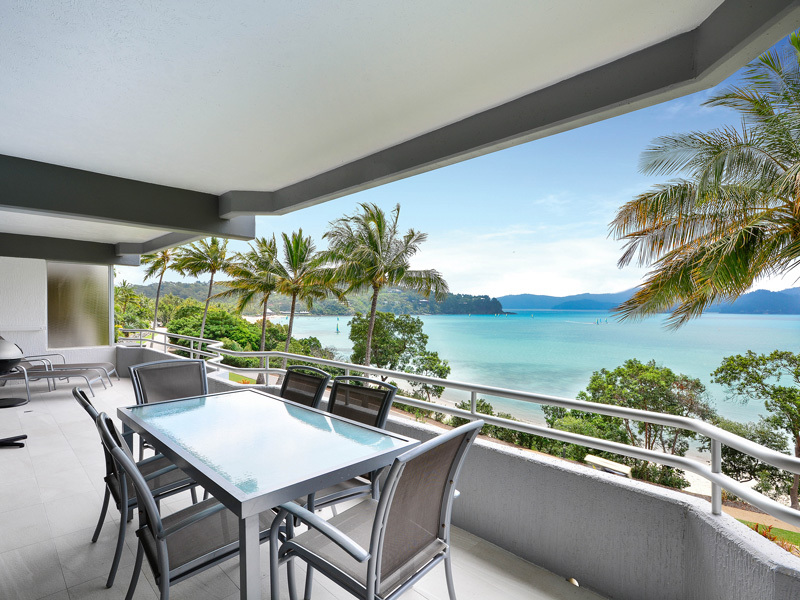 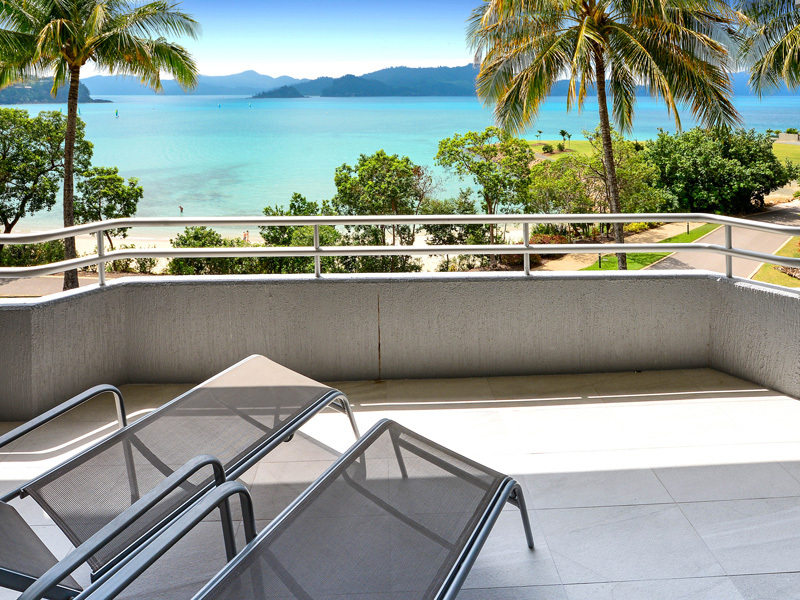 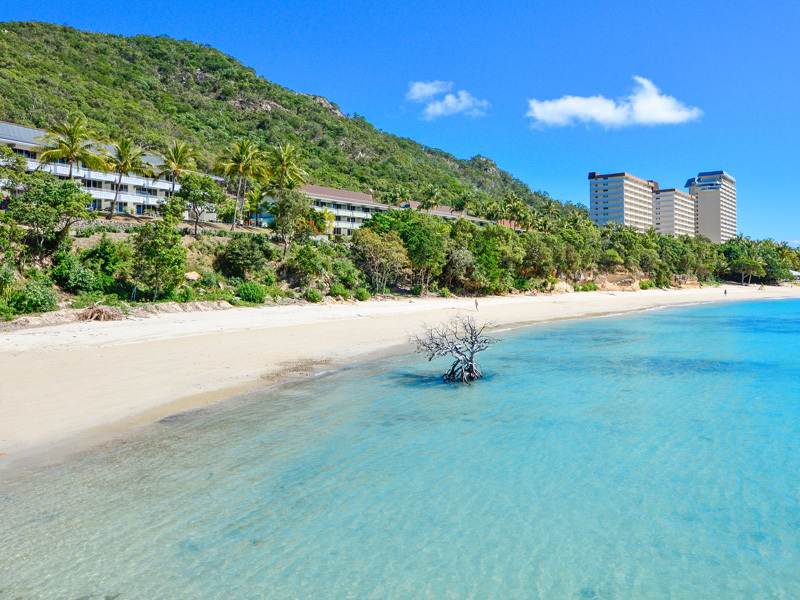 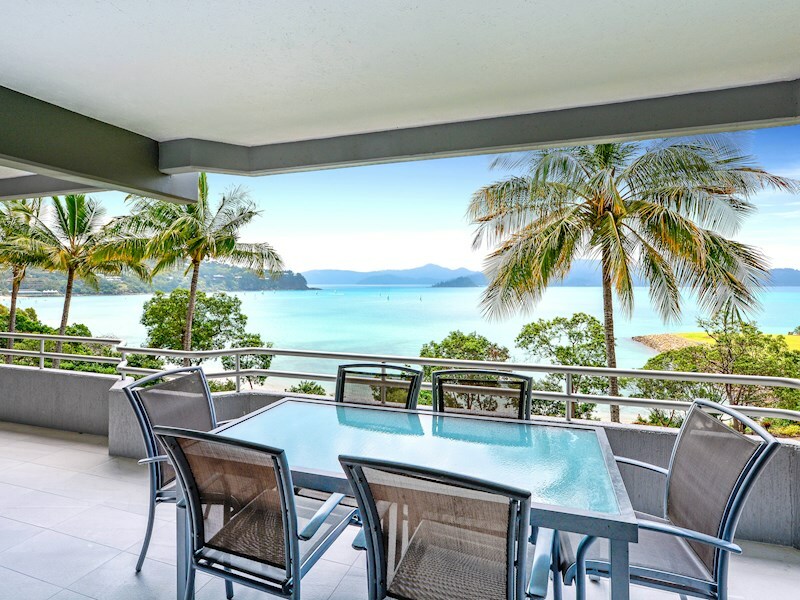 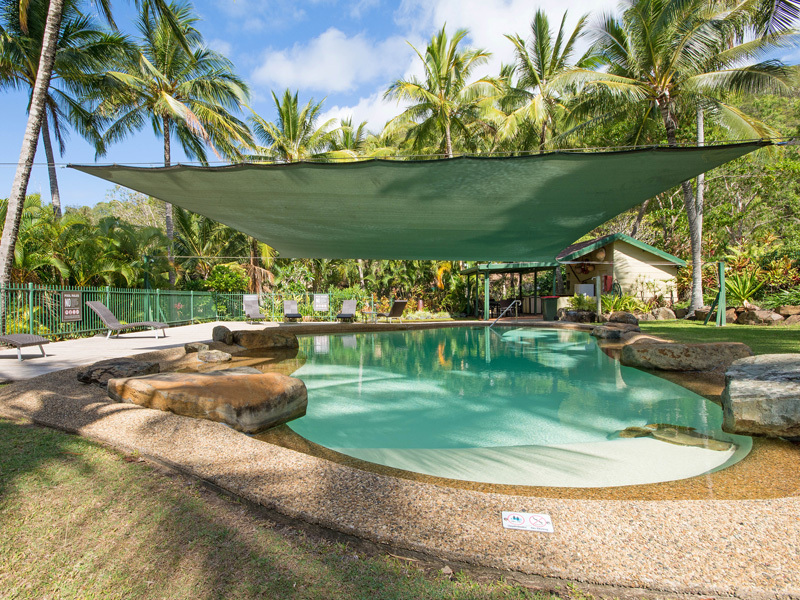 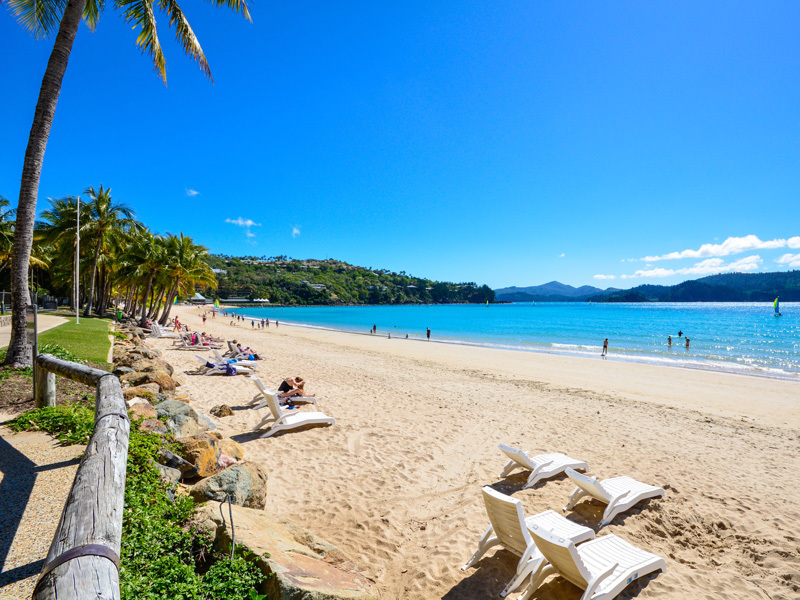 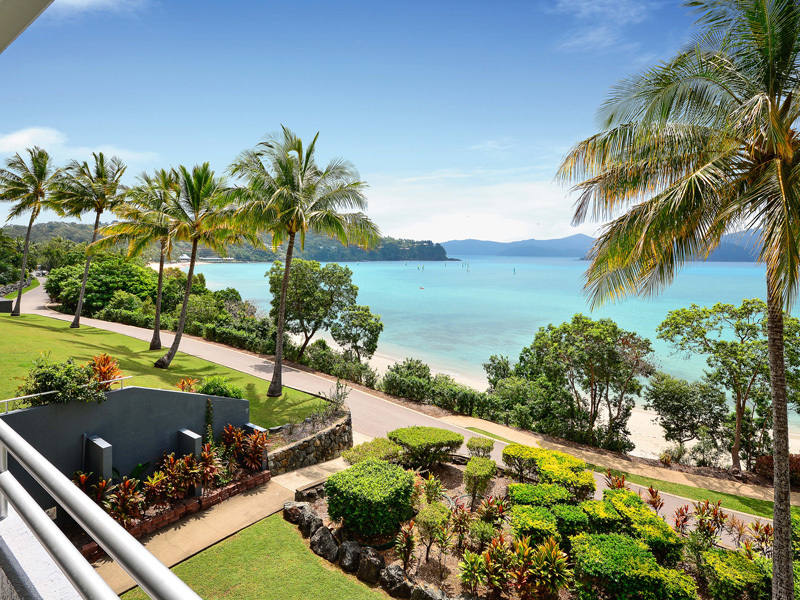 Enjoy spectacular views across Catseye Beach to the turquoise Whitsunday waters. 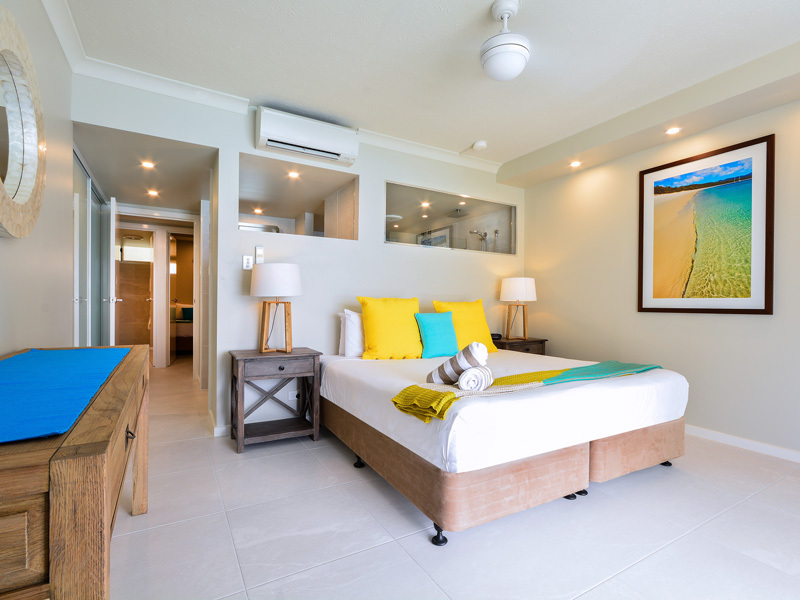 The apartment includes an extra rollaway bed and a cot, making it particularly ideal for families. 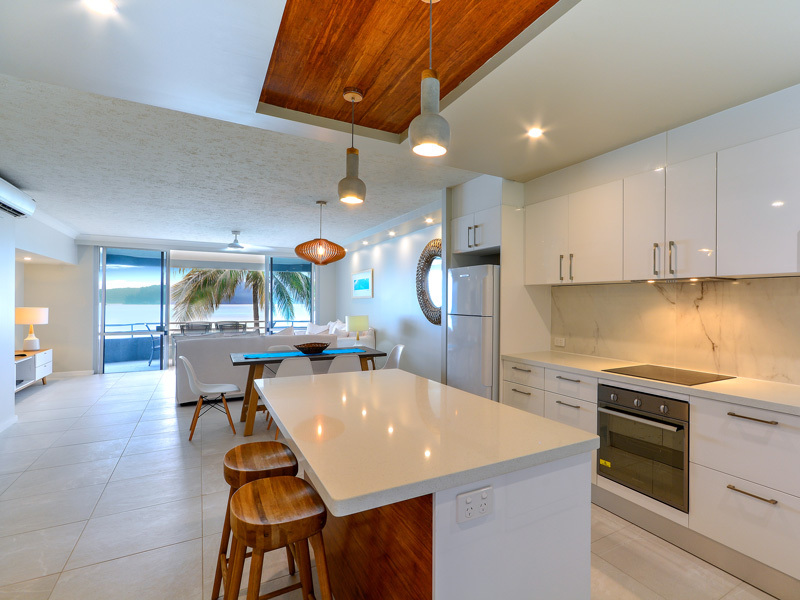 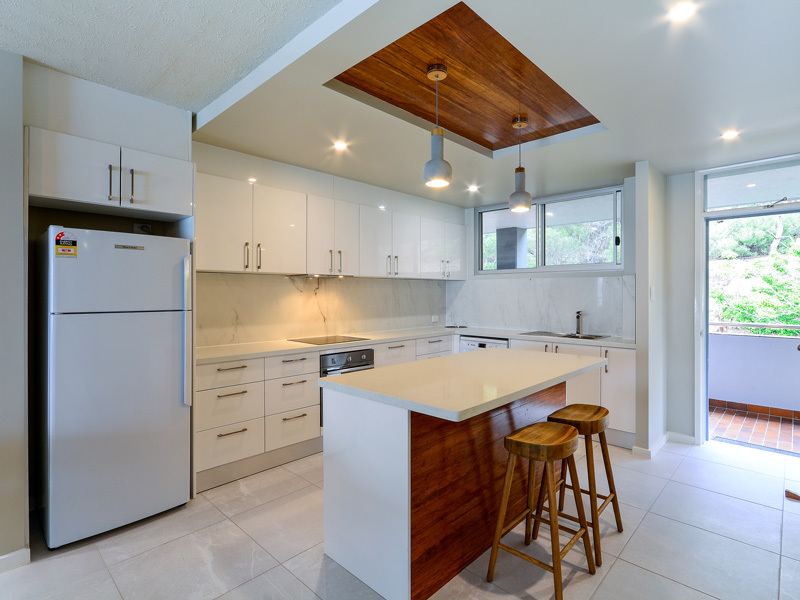 If you enjoy cooking, you'll love the new gourmet kitchen with high quality fittings. 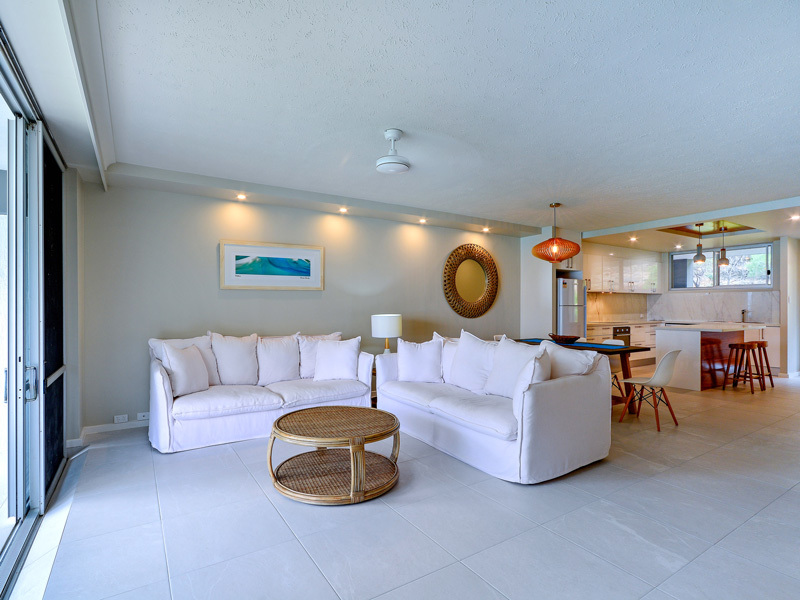 Situated right on the golden sands of Catseye Beach on the resort side of the island, you're just a short distance to all of the island's main attractions. 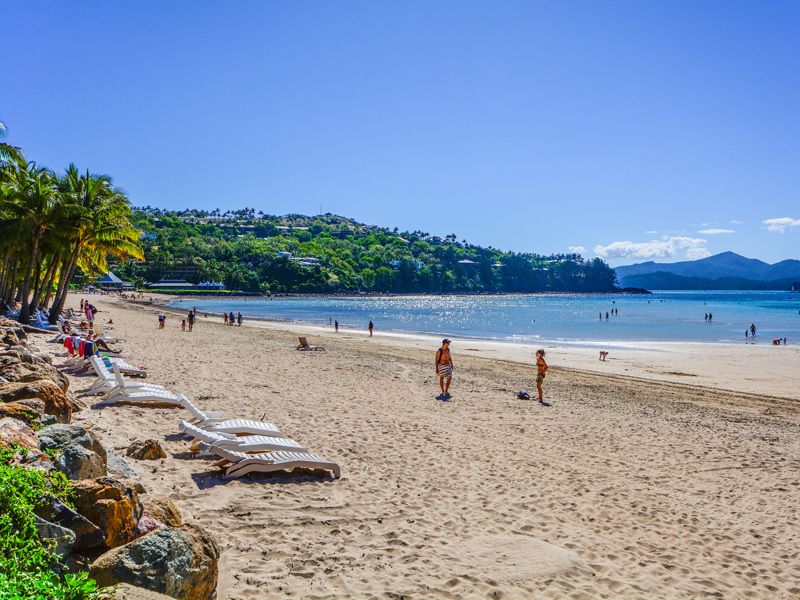 Wander down to Catseye Beach and take advantage of your complimentary watersports equipment, included as part of your stay. 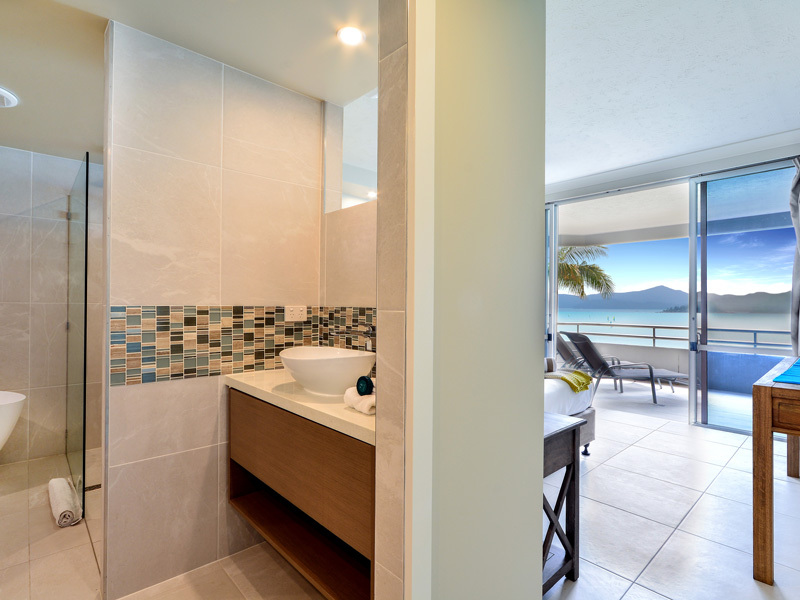 There are two spacious bedrooms. 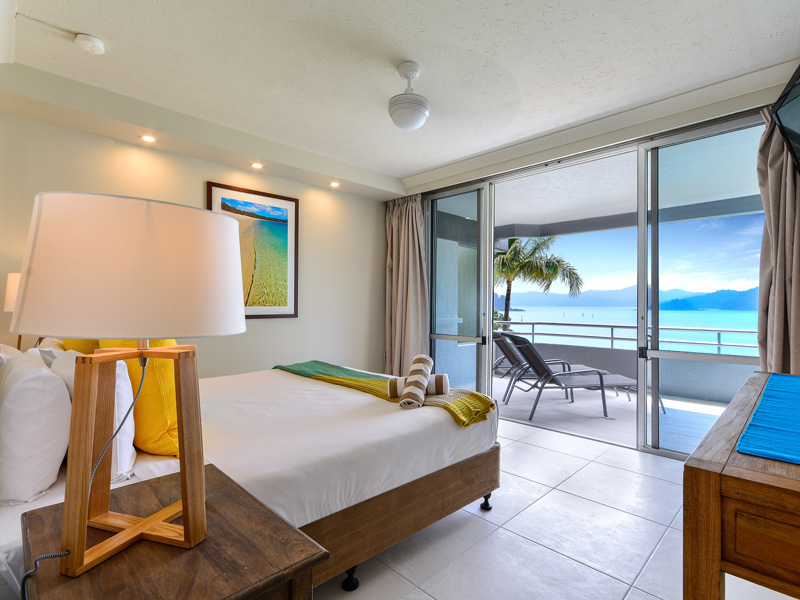 The resort-style master has a king bed, from which you can marvel at the ever changing hues of the Catseye Beach waters. 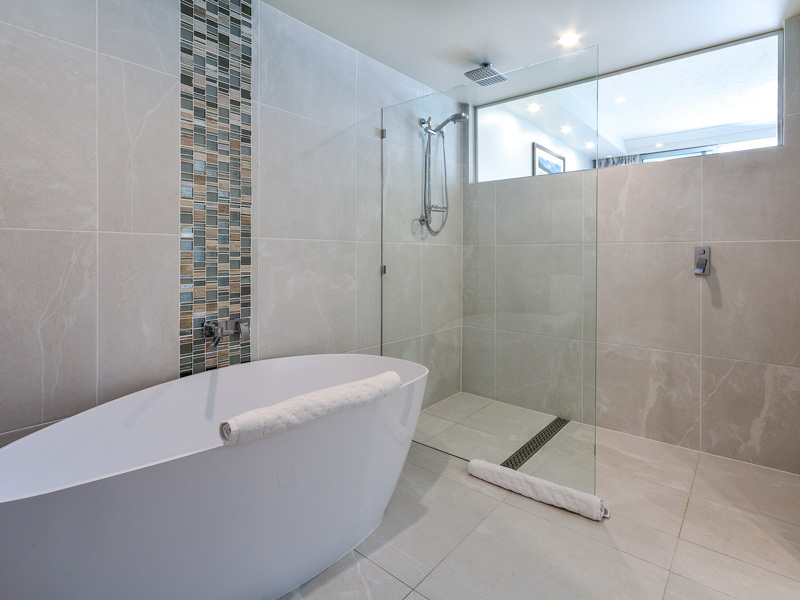 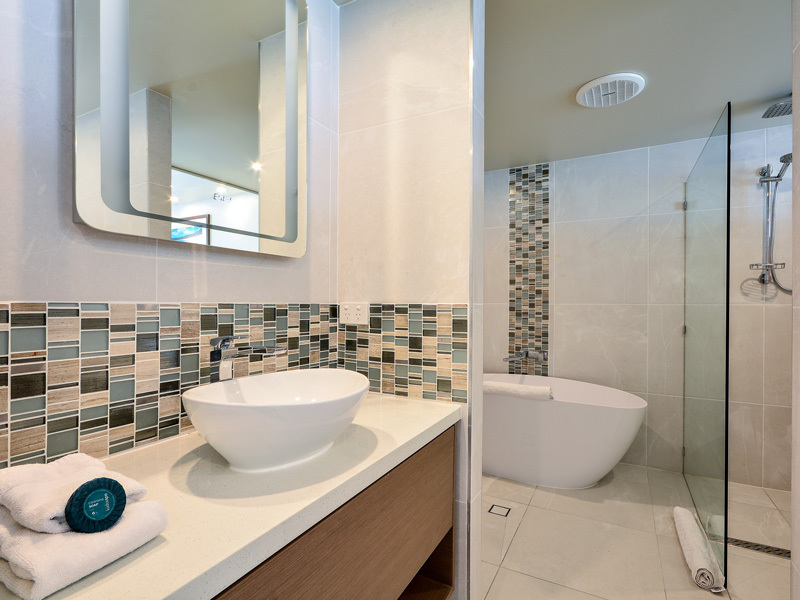 It also includes an ensuite with double vanity, a walk in rain shower and freestanding bath. 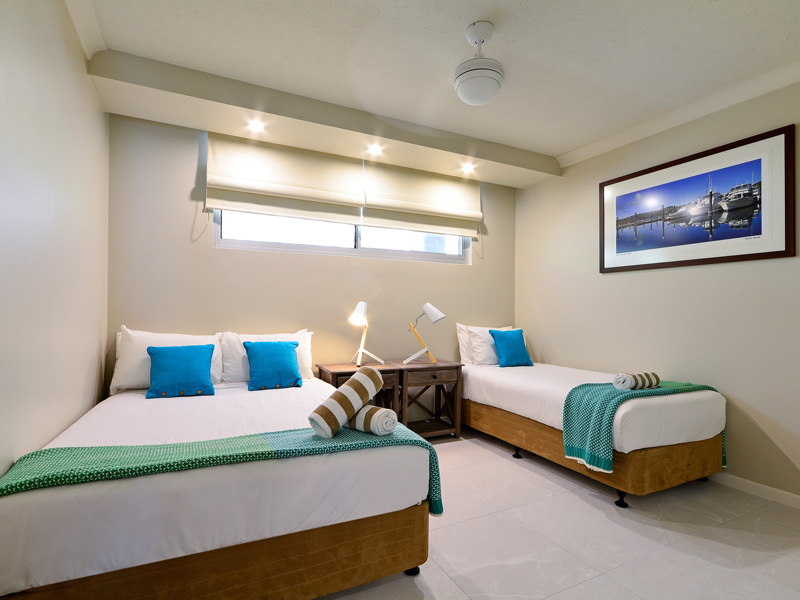 The second bedroom includes a double bed and a single bed. 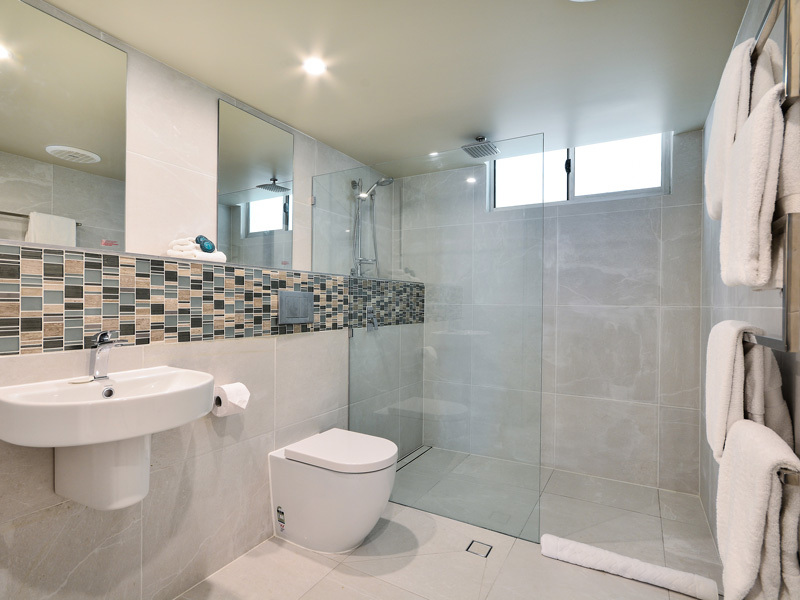 There is also a very stylish and spacious second bathroom. 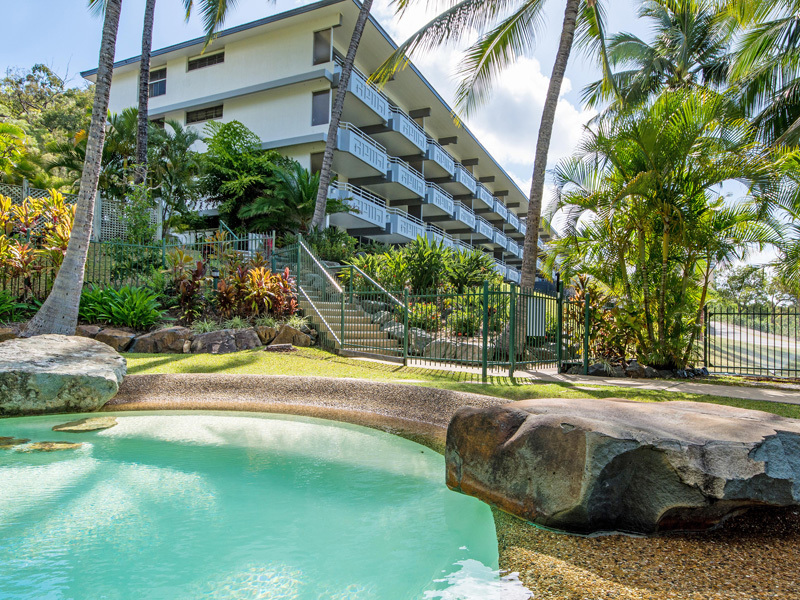 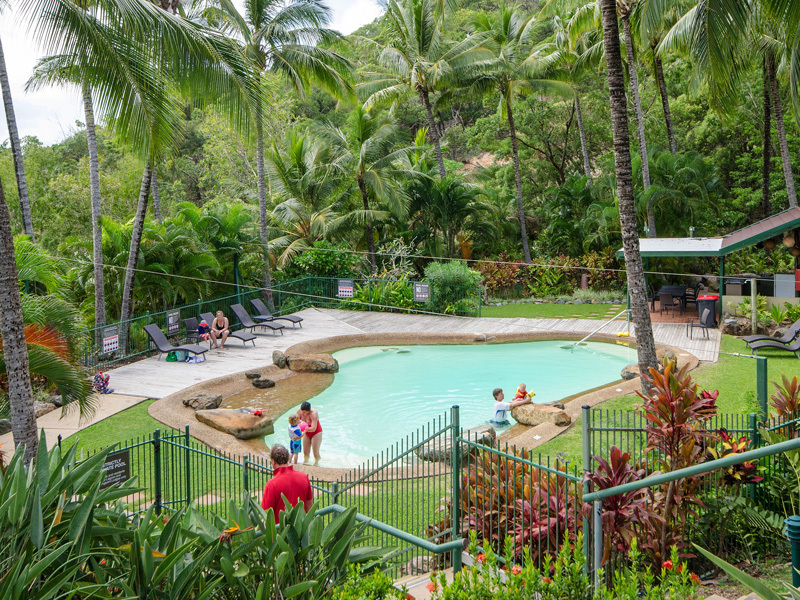 There is a shared pool within the Frangipani Apartments complex, set amid a lovely private, tropical garden.